﻿ WORLD JUNIORS 2007 – Four for One and One for Three! WORLD JUNIORS 2007 – Four for One and One for Three! Many countries were represented in today’s semi-finals in the KLRC World Junior Championships at the Waitakere Stadium. 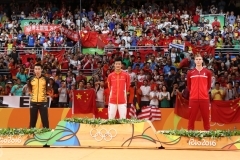 Just as with last year’s finals, China has a shot at four golds and will fight Korea for three of them. Chris Adcock and Gabrielle White, having already improved on Europe’s 2006 record by making the semi-finals, did one better by making the finals. They will play Malaysia for the mixed final so at least one gold will not go to northeast Asia. The best bet to steal a singles title from China remains Tago Kenichi (pictured) of Japan. England and Malaysia will play off for the mixed gold in tomorrow’s final. 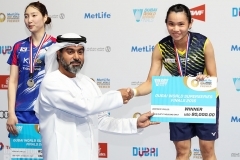 Lim Khim Wah and Ng Hui Lin of Malaysia took control of their match and their Indonesian opponents Afiat Yuris Wirawan and Debby Susanto weren’t able to match their attacking play. Ng was very quick on the net and put the Indonesians under a lot of pressure. They cruised to victory in 2 games. After the match, Ng said she was pleased to get through to her first major final but would think about it later as she still had her doubles to play. The English pair of Christopher Adcock and Gabrielle White (pictured below) had to fight a little harder in their semi-final. They were down in the first game but came through 22-20. In the second game, it was close at the halfway mark but the English pair played some great attacking badminton and showed the nice touches to take a 6-point lead. The Koreans couldn’t match the English and after a small comeback by Shin Baek Cheol and Yoo Hyun Young at the end of the 2nd game, the English took the game 21-16 and won the match. One of the longest matches of the day was in the girls’ singles between Bae Youn Joo of Korea and 2nd seed from China Liu Xin. This was a very long hard battle and both players were really feeling it by the end of the match. The Korean took the first and looked like she would wrap it up in 2 games but Liu Xin dug deep and managed to hang on to take the 2nd game. With her team behind her, screaming out support the determined Korean kept ahead through most of the 3rd game. Liu threw everything at Bae and both players were nearly at a standstill at the end of some of the long rallies. A very happy and relieved Bae eventually won 21-13, 16-21, 21-16 after just over an hour. Not only had Bae improved on her semi-final finish from last year, but she had also redeemed herself for her straight-game loss to Liu in the quarter-finals in Kuala Lumpur. The other semi-final in the girls’ singles was a much more one-sided match with 3rd seed Wang Lin taking only 31 minutes to win her game against Gu Juan, the only player from a strong Singapore team to make the semi-finals. This ensured that China would have one representative in the final tomorrow but Wang has been the favourite for the title all along, with her world #40 ranking and her 2006 China Masters title. 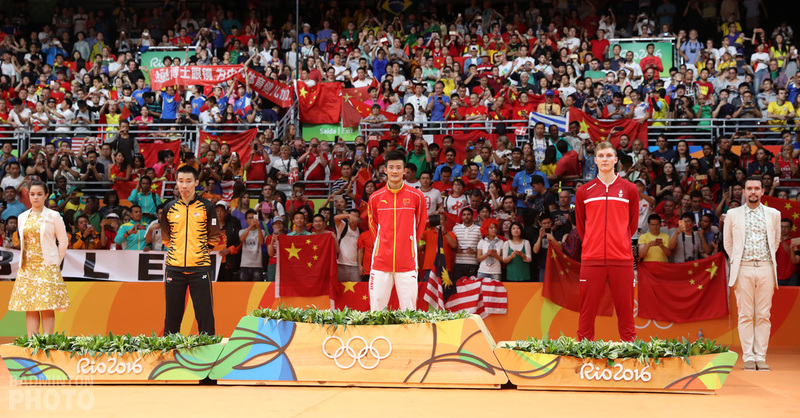 The crowd was disappointed in the boys’ singles when the 2 remaining Chinese players in this event met in the semi-final today. 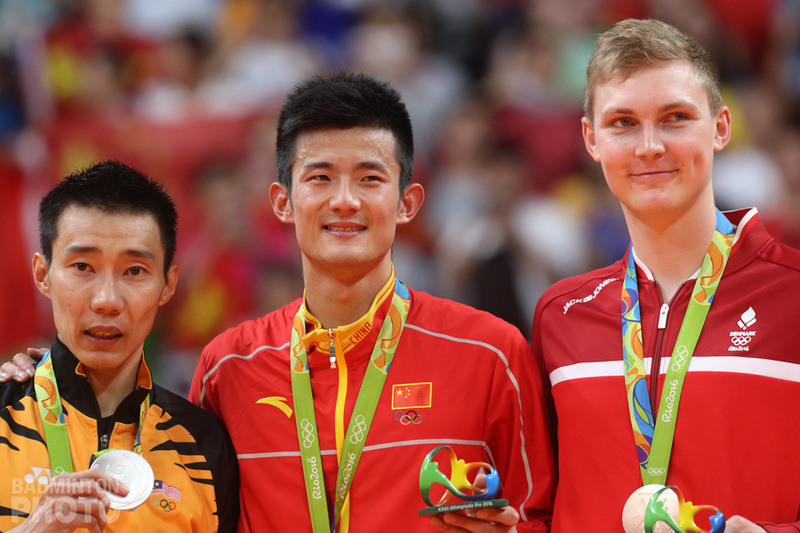 The game wasn’t overly exciting and Chen Long had hardly worked up a sweat when his teammate withdrew due to a sore back, handing Chen a place in the final without a fight. In the other semi-final, Japan’s only remaining representative, 6th seed Tago Kenichi, was up against Yu Chi Yuan from Chinese Taipei. Tago, who had beaten the top seed Mohd Arif Abdul Latif yesterday, hadn’t dropped a game since the first day of the team competition last week and he was too quick and strong for Yu and deserves to be in the final tomorrow in the battle of the 2006 and 2007 Asian Junior Champions. Lim Khim Wah and Ng Hui Lin (pictured), having won their mixed doubles match, each wanted to make 2 final appearances tomorrow, but it wasn’t to be. 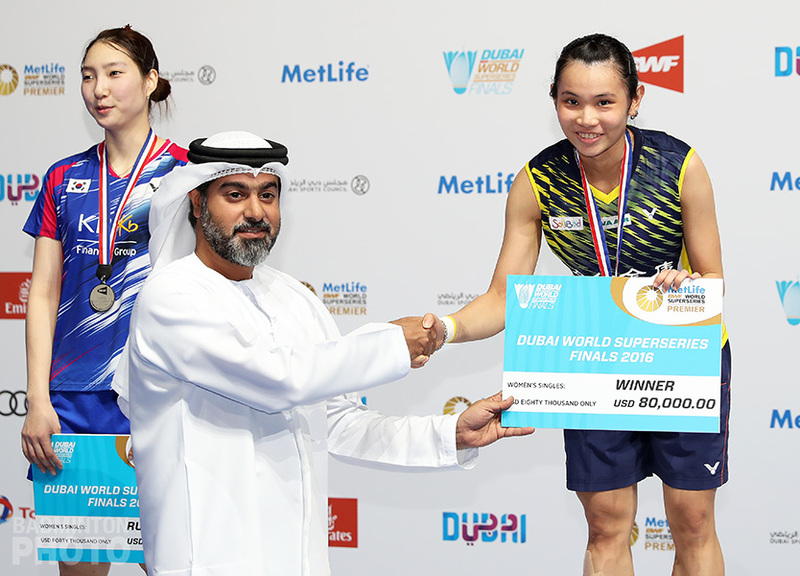 In fact, each of the Malaysians, in their doubles matches ended up facing a Korean who was desperate for a second chance after missing entry to the mixed doubles final. Ng and partner Goh Liu Ying were unable to break through Yoo/Jung’s defense. There was some quality badminton and both pairs were getting a lot of vocal support from their teams behind them but the Malaysians looked tired and the Korean pair slowly wore them down and won the match in the end quite comfortably 21-11, 21-12 in 32 minutes. The other girls’ doubles match was closer but only really in the first game. The Chinese Taipei pair Tien Ching Yuen and Chiang Kai Hsin surprised the Chinese pair in the first and won it 21-19 but then Xie Jing and Zhong Qianxin settled into their work and took the next 2 games with ease, moving into the final. People were expecting some exciting boys’ doubles matches and there was the possibility an all-Malaysian final. 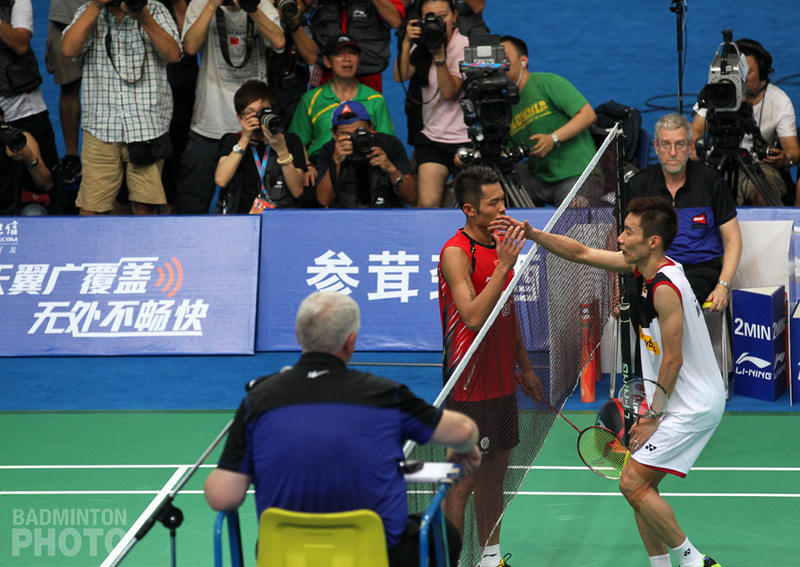 But Chinese top seeds Li Tian and Chai Biao thought differently and were very fired up for their clash with the 8th seeds Ong Jien Guo and Goh Wei Shem and outplayed the Malaysians to win in just 22 minutes 21-12, 21-16 to book their place in the final. It was then up to Malsyaian Lim Khim Wah to try to make a second final. He and partner Mak Hee Chun failed to fire and made too many easy errors letting the Koreans cruise to a victory 21-13, 21-13. Shin was helped in his second chance by partner Chung Eui Seok, who absolutely ruled the net area. Tomorrow’s finals will be exciting and will start at 1pm NZ time starting with the mixed doubles. To watch all finals on live streaming click on the http://www.planetstream.tv/1a/index.php?option=com_content&task=view&id=23&Itemid=1.